This month we were tasked with making the French-inspired but thoroughly Filipino dessert: the sans rival cake. Flourless but rich with butter, eggs, and nuts, this cake was delicious and gluten-free, but not for those looking to slim down. But, hell, we’re approaching Thanksgiving anyway, right? My time was on short supply this month, so I didn’t try the bibingka, which is a pity, since it looks intriguing and decidedly non-Western (not that there’s anything wrong with Western desserts, mind you). Besides, my experience with Filipino desserts is limited to Mitchell’s halo-halo ice cream, and buko/pandan shakes at Jollibee’s. This wasn’t a terribly difficult recipe to make, although getting the g-ddamn dacquoises off the damn parchment paper was next to impossible. I really should have listened to the advice to grease and flour the parchment paper, although allowing them to cook much longer (like an hour, instead of 30 minutes) made them crisp enough to pull off more easily, too. I put the 2 fucked-up looking ones in the middle, and the 2 relatively nice-looking ones (although they were warped a bit because I struggled to shove them onto the same cookie sheet) on the top and bottom. So, in a manner that was typical for me, I made an ugly dessert that still tasted great. One picture here. A few more after the jump. 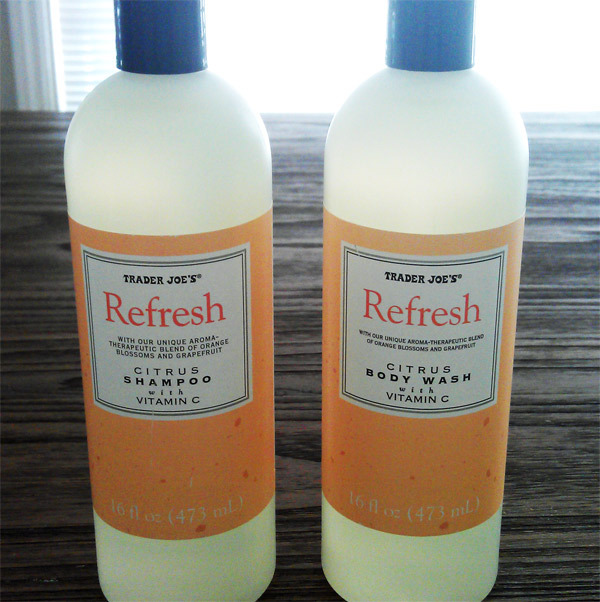 Picked up two almost identical bottles of shampoo and body wash at Trader Joe’s. The price was identical. The branding was identical. The color and viscosity of the liquid? Identical. Gosh, they even smell the same. Yet, they are distinctly different products: one is shampoo, the other, body wash.